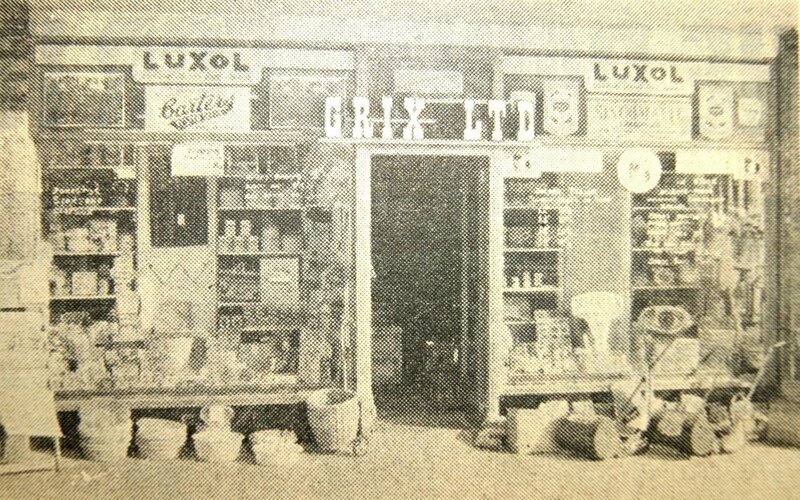 Grix LTD, pictured here, was my family’s business. Working in the shop as a teenager led me to begin my career in the retail industry. Growing up, my parents ran a hardware shop in Stevenage, Hertfordshire which was founded in 1948 by my great grandparents. I always loved working in the shop, serving the customers and encouraging them to buy more, so it wasn’t a great surprise to my family when I went into retail management, working my way up through various roles to the level of regional HR manager for a major supermarket chain. While I held this role about 25 years ago, my mentor and sponsor asked about my thoughts on my career and suggested I try running a store. My initial reaction was what did I know about leadership? I’d only ever been an individual contributor, never had a team or direct reports. Five weeks later I was running a supermarket and had five hundred people working for me. Fast forward fifteen years, and I’d completed an international assignment for the same retailer, changed companies to work within HR in the hospitality sector, started my own business, been travelling, become a yoga teacher and then joined Heathrow Airport, soon after becoming Head of HR. I oversaw a team of 6 Business Partners and together we trained to become qualified coaches. This was the beginning of my transition from being a Leader to becoming a Coach. As a leader I approached my challenges and objectives as the accountable person, the buck stopped with me. I was the driver, so I wanted to know how fast, how much and by when. I was in the heart of the organisation and the teams I was responsible for, I was part of the system/s. When I first began coaching I learned about empathic listening, asking great questions, summarising, remaining neutral and sticking to the agenda of the coachee. I have continued with a strong intention to hone and use these skills. Initially it was challenging, I was accustomed to giving a point of view and thinking I knew how to fix and solve things. I had to develop the capability to reserve judgement and allow the coachee to work it out for themselves. I had to let go and allow them to decide what action to take. Challenging as this was at first, moving into coaching felt natural to me. Throughout my career the element that I enjoy the most is developing people. What makes them tick? What are their strengths? What enables them to be their best? What is their purpose? When I began team coaching and development I faced a similar lesson. Initially I thought and acted as if I was part of the teams that I was supporting. Their success was in part my success. I felt like I had some accountability for their results. As I’ve explored my role more deeply, I’ve come to truly understand what it means to know that ‘I facilitate and you lead’, not just as a theory but as a mindset and a way of being. I have continued to adopt this approach and it is hugely empowering, not only for me but also for the teams that I support. Answers to questions like who speaks first, how I am introduced, what is my role versus their role are much clearer now. In the last three years of working for myself, I have been involved with the development of over 2000 leaders and over 30 teams in 10 countries. I have had the opportunity to support some amazing global businesses, often ones that are in the process of a cultural and financial turnaround. I’ve also continued to develop myself as a coach, reading and listening to many books, YouTube clips and Ted talks, attending over twenty-five weeks of development programmes and facilitating hundreds of courses. And I am a student of Systemic Coaching, on a journey to becoming a master practitioner. Learning about systemic coaching has fundamentally changed the way I coach and I find it highly effective for working with leaders, teams or across entire organisations. If you’d like to know more about this powerful coaching process, take a look at my blog and services page.